If you are a frequent reader of my blog, you should already know that I hate cleaning. Maybe a little less now, than in the beginning, but I still quite dislike it, especially on a lazy Sunday. Anyway, ever since I discovered the disposable cleaning wet wipes, I was reborn. Seriously, these wipes and the person who invented them are genius! Most of them are suitable for all surfaces, which means you can easily wipe the bathroom, toilet and the door knobs. All sorts of messes are easily fixed and life is good again. The downside is that these wipes are very addictive and expensive. It is easy to become dependable on them, not to mention they contain harsh chemicals. For this reason I did a research on how to make my own, natural and cheap wipes. I was amazed at the interesting information I found. 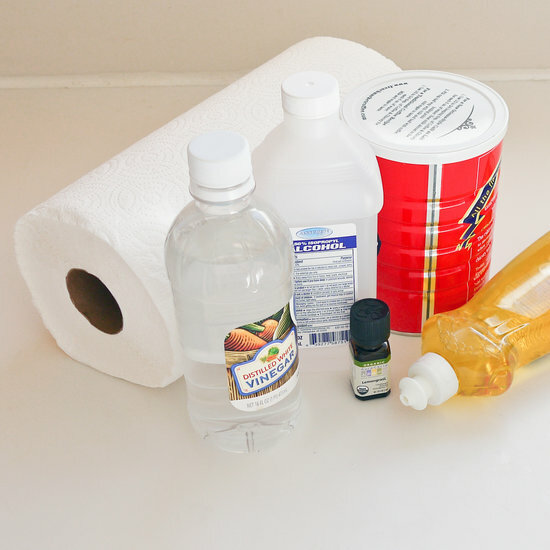 - Essential Oil – some oils have antibacterial qualities and they will personalize your cleaning wipes. - If you are using a roll of paper towels you will need a sharp knife. 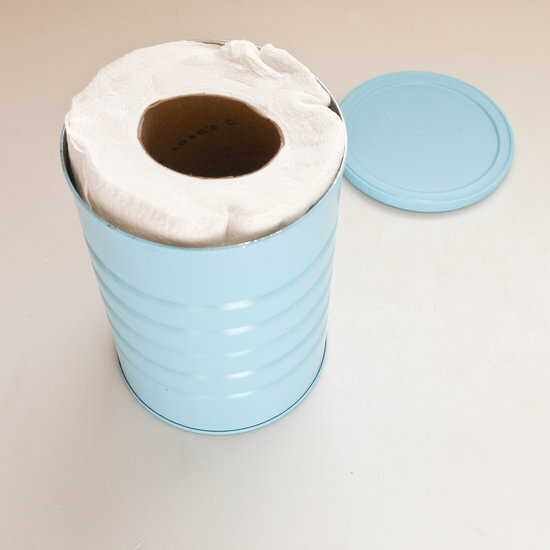 Old Coffee Canister – You can easily repurpose an old coffee canister and turn it into a wet wipes container. 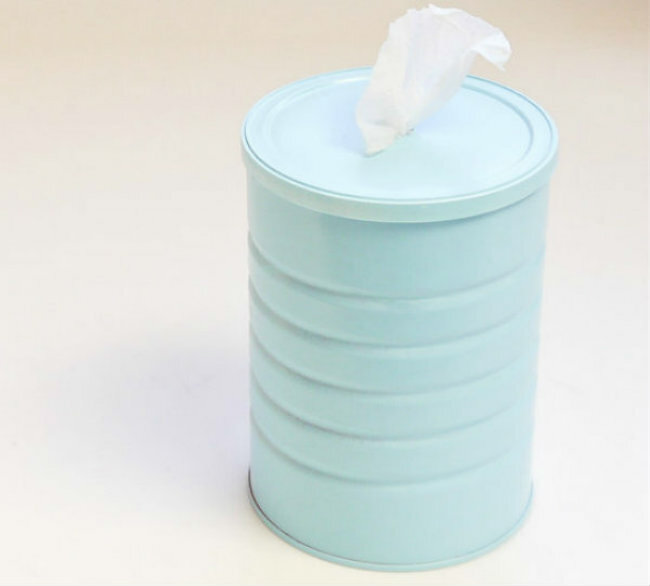 An Empty Wet Wipes Container – you’ve bought wet wipes before? Good, keep the container and use it. Mason Jar – some claim that certain essential oils react with the plastic. In cases like this a Mason Jar is also a good idea to store your wet wipes. Food Container. You can drill a hole in it with an electric drill with 1/2-inch drill bit. If you want your wipes to be good and to withstand some scrubbing without shredding it is important to buy quality ones. Less-expensive towels fray or shred when pulled through the holder. You can use paper towels like most people do, unless you want reusable ones. 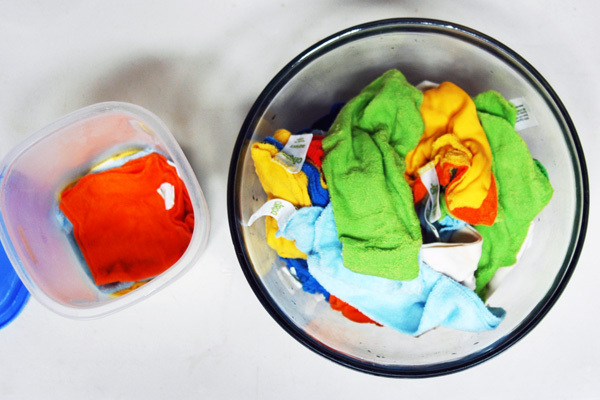 In this case, you can either buy reusable wipes like those by Mr. Clean, or you can make your own cloths by either knitting some yourself, or cutting your old T-shirts into square pieces. Vinegar is known for being a powerful, natural and perfectly safe cleaning agent. There are numerous recipes out there that will help you make a solution for all sorts of surfaces and needs. White distilled vinegar will help you disinfect, clean and freshen up whatever it is that you clean. You can also add water depending on how mild or strong you want your wipes. Adding lemon juice is also a good idea if you want your solution to have a fresh scent. In addition, lemon juice destroys grease build-ups and helps disinfect. When you out the wipes/roll of paper towels in the container of your choice, add the solution you have made. Place the lid on the container, and allow your reusable wipes/paper towels to absorb the cleaning solution for at least 4 hours to overnight. After that open the lid and remove the wet cardboard from the roll. You are not going to need it anymore. Because I am a very visual creature and need to see everything before I attempt it, here is the most useful video I found: a tutorial by Courtney Fowler. According to her each batch of wipes costs about 75 cents. Hope all this was useful! Try it out and share in the comments how did it work for you!